Cristina said: “Located a few blocks away from Byres Road and the West End, this is an excellent second-hand bookshop, well organised both into sections and alphabetically. Especially good on Scotland, history and politics, it also has an impressive range of shelves devoted to fiction, and a lot of Pelican and Penguin editions. Wandering around this shop is a real pleasure, with so many surprises awaiting you round every corner, and a staircase will take you to the attic where you can spend hours unearthing treasures”. 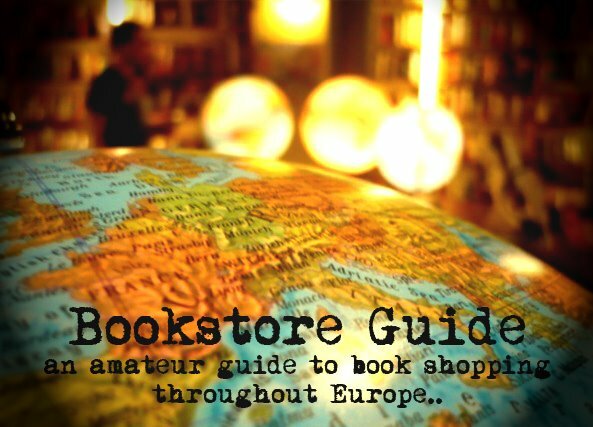 Since one of the first criteria we established for Bookstore Guide - at least a certain amount of English books on stock - naturally doesn't apply to bookstores in English speaking European countries, we have to put more stress on the additional requirements. As a result, the bookstores we add to the Guide from these countries are selected as the best bookstores in the given city. And Caledonia Books definitely ranks among Glasgow's best. 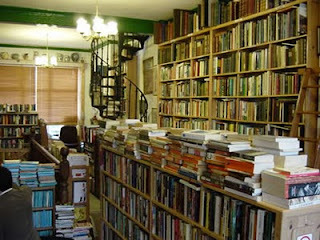 Caledonia Books is the type of bookstore which is all about books, which makes it the first pick for a specific group of book-lovers. To avoid any feelings of disappointment - don't expect a warm welcome, talkative and helpful staff or carefully organized shelves and a pleasant interior reflecting the latest trends. Because you very probably won't find any of that. What you certainly can expect are loads and loads of books which cover practically all the available space of this bookstore. And although the books are everywhere (shelves, cases, boxes, or just in piles on the floor) the overall impression is far from chaotic, as the stock is rather neatly arranged. 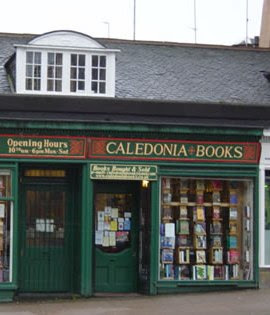 Caledonia Books is a part of the Glasgow bookstore scene since 1986 and during the years, it has managed to amass a vast amount of second hand titles which fill its limited space divided into two floors. The stock is purely second-hand, the majority of titles is available at very reasonable prices, rare antiquarian books being the exception. As for the subjects, it's hard to point out anything in particular, since the vast stock is strong in both fiction and non-fiction titles, but the Scottish section definitely ranks amongst its best. A browser's paradise and a perfect environment to get completely lost in an ocean of second-hand books with lots of great titles waiting to be discovered.